HOW CAN YOU HELP THE TRUST? In the longer term the Trust will build a fund from which it can enable activities that help build mindfulness and understanding of the benefits of goodwill, acceptance and respectful problem solving. 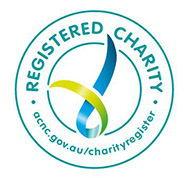 The Trust has been established as a tax exempt charity with the Australian Not-for-profit and Charities Commission and allocated an ABN 70411073988. The Trust does not have Deductible Gift Recipient (DGR) status – meaning that donors will not receive a tax deduction for their support. If you are able to make a donation to the Trust, your support, no matter how large or small, will be important in establishing the Peace Garden and providing a basis to fund ongoing peace-promoting initiatives. The Peace Trust is driven by a group of volunteers who share a view that non-violent solutions to conflict will only be achieved when individuals and communities demand more tolerance, accepting and kinder behaviours – from their peers and leaders. Support from individuals, service clubs, and community organisations is encouraged. Donations – donors, will be acknowledged on the Trust website – unless they request anonymity. Sponsorship – Business and corporate entities are encouraged to consider ‘sponsorships’ – that demonstrate CSL cultures and non-violent workplaces. They may use their involvement to encourage staff and stakeholder reflection about bullying, discrimination, tolerance and kindness. Sponsors will be acknowledged by inclusion of the logos and links on the Peace Trust site. For details call Jo Archer on 0417 114 311 or email jo@linkingtasmania.com.au. Bequests – for some, a bequest to the Trust may provide an opportunity to reflect the wisdom gained through life’s experiences – especially when considering the impacts of conflict on families, neighbourhoods, communities and the world. CHEQUE – made to the Tamar Community Peace Trust and posted to Mrs Janine Healey, Treasurer, Tamar Community Peace Trust, C/- Ruddicks Accountants, 102 Tamar Street, Launceston 7250. ANONYMITY – If you require your donation to be anonymous, please indicate when forwarding your cheque. ACKNOWLEDGEMENT – If you are happy for your donation to be acknowledged, you can still make a direct payment – but please also email Peace Trust Treasurer, Janine Healey (jhealey@ruddicks.com.au), to advise the amount of your donation so that a receipt can be issued and that you can be thanked by the Trust. On behalf of The Peace Trust, thank you for your time and consideration. If you require further information please contact me (0417 114 311 or jo@linkingtasmania.com.au) or Janine (jhealey@ruddicks.com.au). The Trustees share, and are committed to actively promoting peace with the aim of building a society that avoids the use of violence to resolve conflict and deal with diversity. It would mean a great deal if you are also able to demonstrate your support as a donor as we bring Jean’s vision to fruition.